Illinois Gov. Bruce Rauner has ordered a Chicago TV and movie studio to return a $10 million state grant awarded by his predecessor, Pat Quinn. Rauner's order comes after a Chicago Sun-Times report that the grant was awarded to Cinespace Chicago Film Studios for the purchase of land that wasn't for sale. Owners of six properties listed in the grant have told the newspaper that they don't plan to sell their properties. The Sun-Times reports there's no indication the studio has spent any of the money. The newspaper also found that there weren't appraisals for the land indicating prices were accurate, and that the state didn't have documents showing the studio had pending contracts or had been in negotiations. "The administration has very serious concerns about the lack of supporting documentation and the failure of the Quinn administration to abide by normal procedures for issuing grants," Rauner spokesman Lance Trover said. "Following a review, Gov. Rauner has ordered the $10 million grant to Cinespace be terminated and the funds returned." 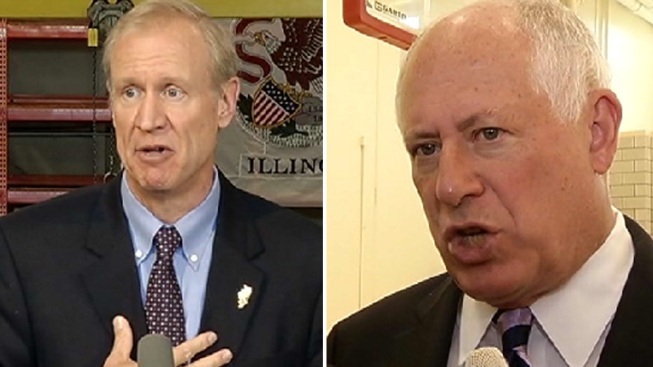 The studio applied for the grant less than two weeks after Quinn lost to Rauner in November, according to records. Quinn spokesman William Morgan said the former governor wasn't personally involved in awarding the grant, but that he backed the studio's expansion on Chicago's West Side because it would create jobs. The grant was administered through the Department of Commerce and Economic Opportunity, Morgan said. Cinespace received five grants totaling $27.3 million in Quinn's time as governor. The studio, where productions such as "Chicago Fire" and "Empire" film, has until May 7 to return the money plus interest under Rauner's order. According to the terms of the grant, Morgan said the studio would have had to pay back unused funds by June 30. A message seeking comment was left with the studio.